Well now that Boston is over it is time to begin to focus on other things. June 14th is my wedding. You can check out our page on the Knot. Next Sunday May 4th is Broad Street. 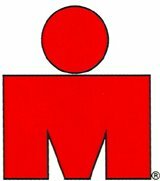 Sat May 24th is a new triathlon in sea isle city, NJ. So this is my schedule for the next couple months.